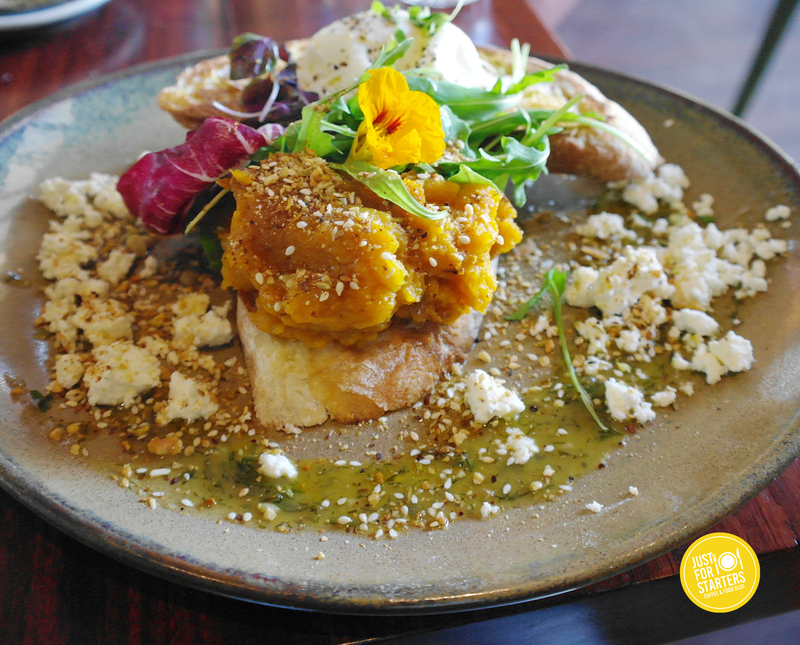 If I had to sum up the food at Mt Lawley’s Fez café I would say, simple wholesome food done well. 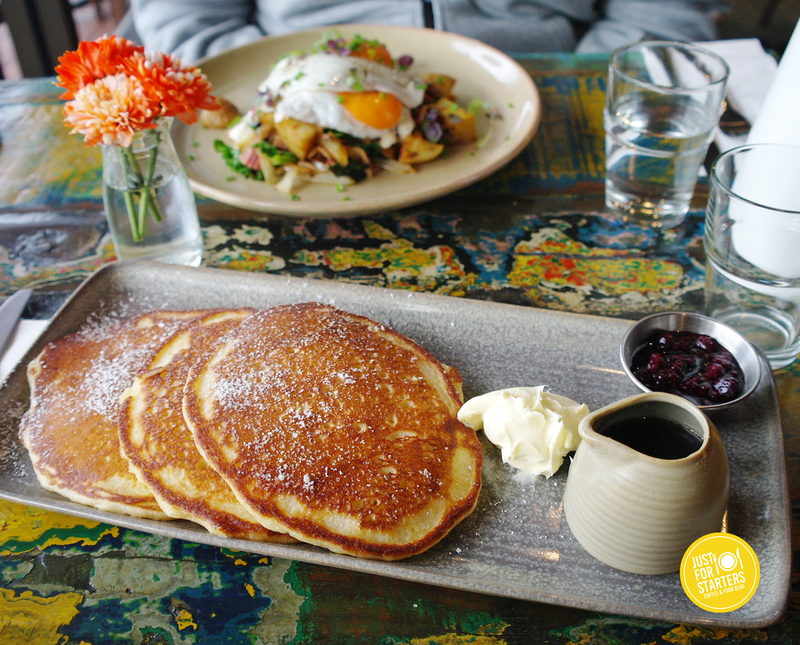 Anthony and I had The Fez café on our foodie list for a while now and after trying their pancakes, I am glad we did. As we entered the café I immediately got a sense of what this family owned café is all about. The décor was a mixture of colourfully eclectic pieces. 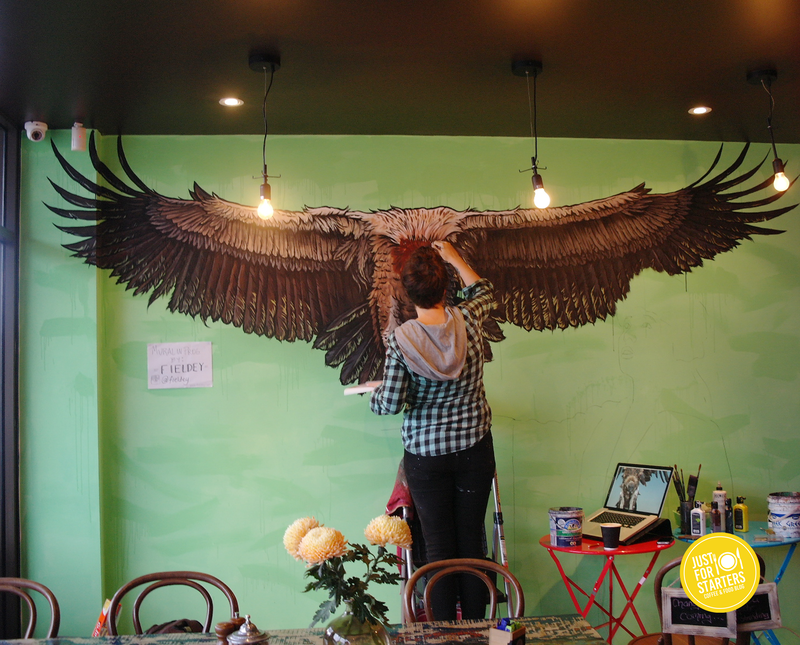 One side of the café has a large mural of an eagle being painted over a bright green wall. It wasn’t finished yet but it still looked really impressive. It was also great to see that they used a young local artist. For our breakfast we ordered Corned Beef Hash – mixed potatoes, herbs, onions & garlic, kale, house pickles, fried eggs and horse radish cream $22 and Buttermilk Pancakes – berry compote, mascarpone and maple syrup $18 . The Corned Beef Hash was a perfect hearty option for the cold winters morning. Anthony loved how they kept the flavours on the corn beef simple. It was nice n’ salty and cooked perfectly. The mixed potatoes and salty corned beef married well with his oozy runny fried eggs. It was definitely a comfort food dish. My buttermilk pancakes consisted of three golden pancakes with a side of berry compote, maple syrup and mascarpone. This unassuming plate of pancakes turned out to be an absolute delight! The pancakes were light and fluffy as well as being scrumptiously crispy on edges. I wanted the cooks recipe because my buttermilk pancakes never comes out like that! I generously dolloped the berry compote and mascaparone all over my pancakes. I loved the tartness of compote along with the creaminess of the mascarpone. Deeelish! After we finished our breakfast we definitely wanted to take home some of their sweet treats we had seen earlier. Placed on one of their cabinets opposite the main counter was a huge mouth-watering Snickers cake annnnd a tray of fresh doughnuts that had just been delivered by Got Milk Donuts. We ended up ordering a slice of Snickers cake and three donuts (one of each flavour) to take home. If you are a fan of Snickers bars you will love this cake! This was also the first time we had tried Got Milk Donuts and it won’t be our last! 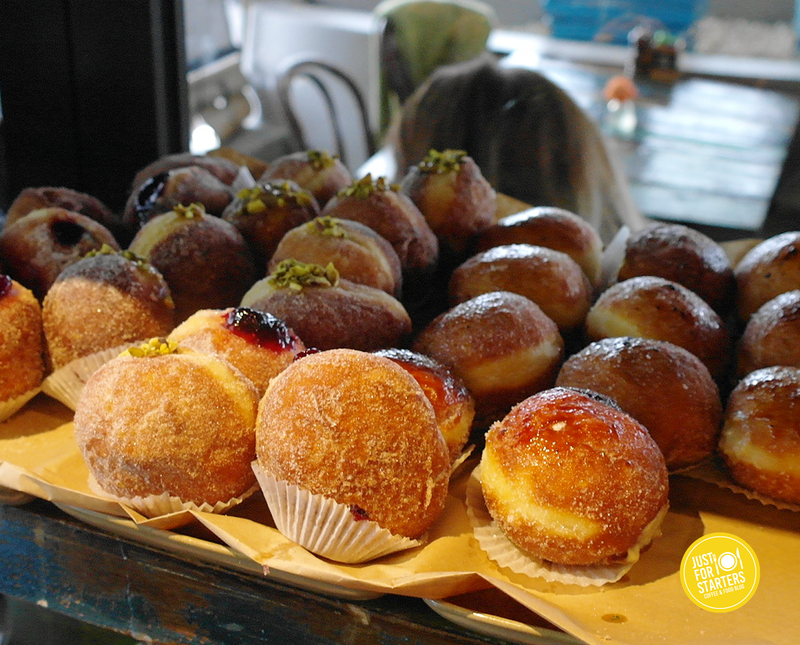 These doughnuts were golden brown, lightly crispy on the outside and soft n’ fluffy inside. My favourite was the luscious Vanilla Brulee. We’d definitely be back to eat at The Fez café. We enjoyed the meals and loved the sweet treat selection! Big thumbs up! The first time we heard about the The Little Pantry was on Instagram. Someone had posted a stunning picture of their mouth watering Brioche French Toast. In the picture, there was delicious caramel sauce cascading down each layer of the crispy golden French toast and on top sat a dollop of creamy vanilla ice cream. Both Anthony and I both agreed that this was one place we had to try! Walking into the The Little Pantry I couldn’t help but notice this cafe had a stylish but cozy feel. It looked like the type of cafe you can spend a leisurely breakfast catching up with a loved one. As usual we grabbed some menus, found a good spot to settle into and ordered a few coffees to start off with. This particular morning was a really cold one and you could see the people coming in were in need of a good hot beverage. Despite the high demand of coffee orders coming through, the barista was pumping out the coffees at a good steady pace. Not long after we placed our coffee order they arrived at our table. Anthony’s flat white was perfect but unfortunately my latte was a under extracted which made it too weak for my liking. 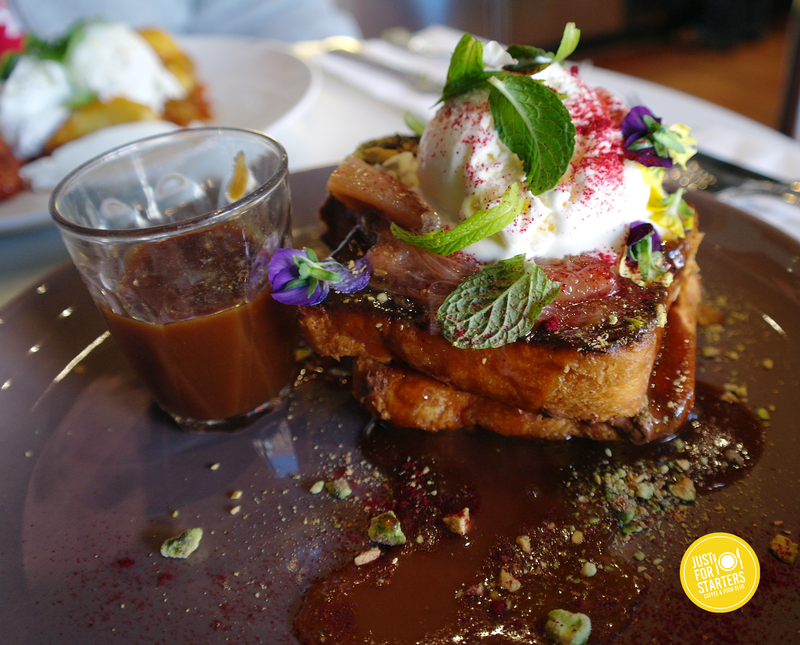 For our food we ordered ‘Crispy Fried Potato, Chorizo, Poached Eggs, Labna & So Frito’ $16.00 and of course the dish I have been waiting to sink my teeth into…’Brioche French Toast – Nutella, Salted Caramel, Rhubarb, Vanilla Ice cream & Pistachios’ $16.00. The french toast looked absolutely scrumptious and the presentation was so pretty! This dish did not disappoint. The french toast was crispy and golden on the outside and moist, soft and light inside. There was a lot of sweet elements on this dish for example the Nutella, salted caramel, vanilla ice cream but the cooked rhubarb, for me, cut through some of the sweetness. Anthony’s Crispy Fried Potato dish could only be describe as comfort food! How can you wrong with golden crispy fried potatoes? Each bite was like heaven in your mouth. 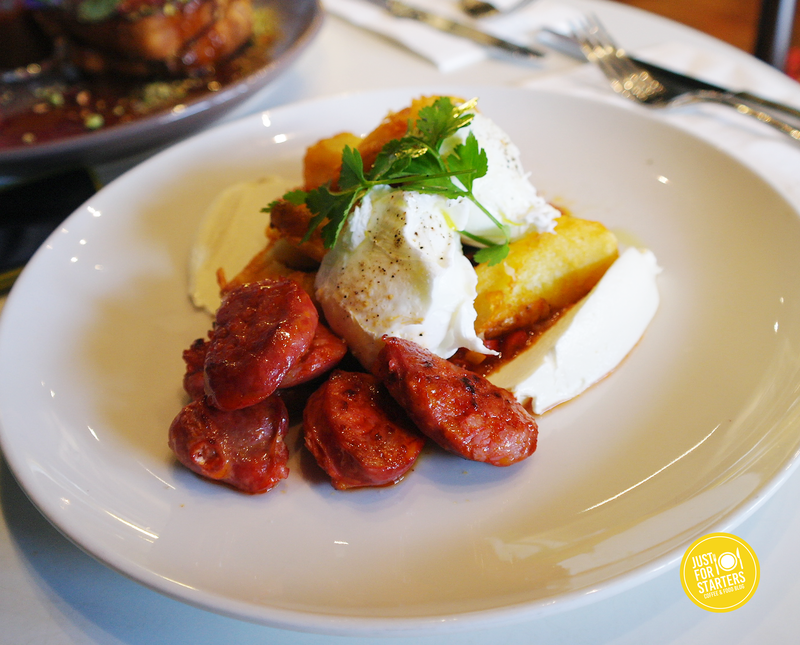 There was a decent serving of good quality chorizo too and the poached egg was delightfully gooey inside. 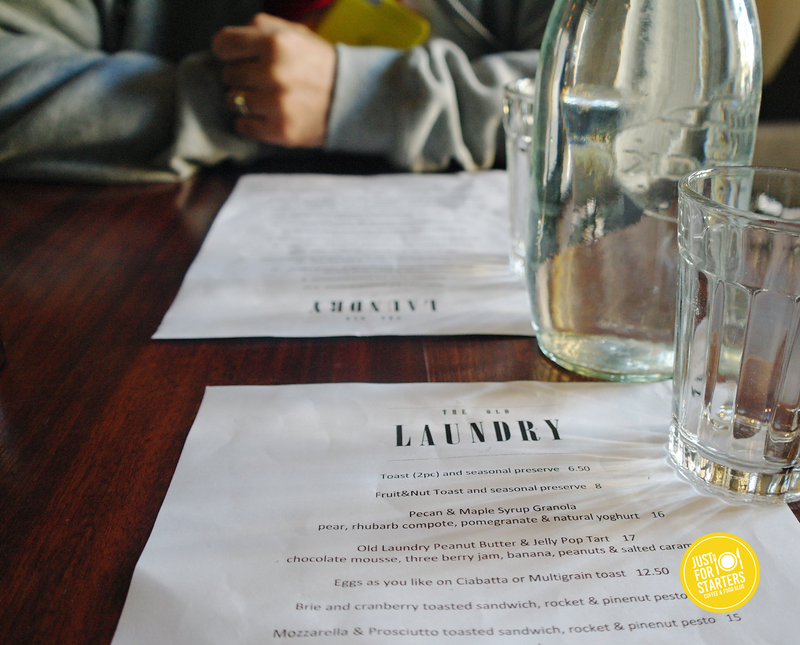 Overall, we loved our breakfast at The Little Pantry. If you like your comfort food (and who doesn’t in this cold weather?) 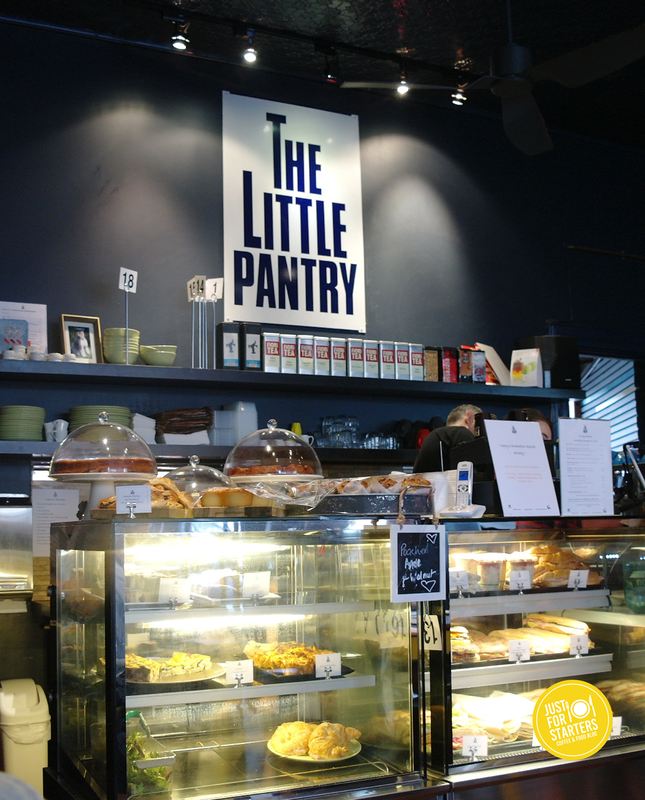 then definitely give Little Pantry a go. We will definitely be back again! Its no secret, Anthony and I love Instagram. 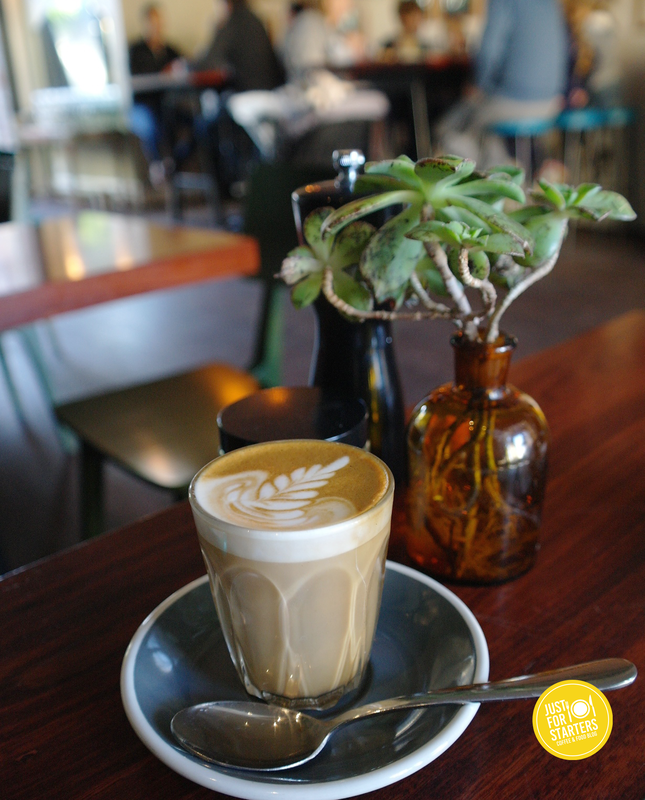 We follow heaps foodies and local food & coffee businesses. When we found out the Old Laundry has changed chefs and saw their scrumptious cakes on Instagram (their Oreos cookies & cream cake particularly caught my eye) we thought we should go back and give The Old Laundry another go. We chose a seat inside and ordered two Piccolos straightaway. We took our time looking over the menu, everything sounded delicious! A short while later our Piccolos arrived, they were strong but not bitter. Anthony ordered ‘Smashed Pumpkin Bruschetta- Hazelnut Dukkah, Poached Egg, Feta, Honey & Dill Dressing’ $16.00 and I ordered ‘Old Laundry Peanut Butter & Jelly Pop Tart – Chocolate Mousse, Three Berry Jam, Banana, Peanuts & Salted Caramel $17. Whilst waiting for our brekkie, I thought this would be a great time to check out these scrumptious I have been seeing all over Instagram. I walked to up to a waiter and enquired about it. The waiter said ‘Sorry no cakes today’ damn…I thought to myself, I missed out. When our meals arrived to our table they looked colourful and appealing. Anthony cut straight into his poached egg expecting a delicious oozy yolk to come running out but instead the yolk was overcooked and hard. The first couple of bites of my pop tart were delicious. I loved the crispiness of the pop tart crust with the saltiness of the peanut butter filling and the chocolate mousse was deliciously rich and silky smooth. But after awhile it became too rich and sweet. The banana even though a perfect accompaniment with the rest of the elements on the plate, just added to the sweetness overload. Overall we had a pleasant time at The Old Laundry. 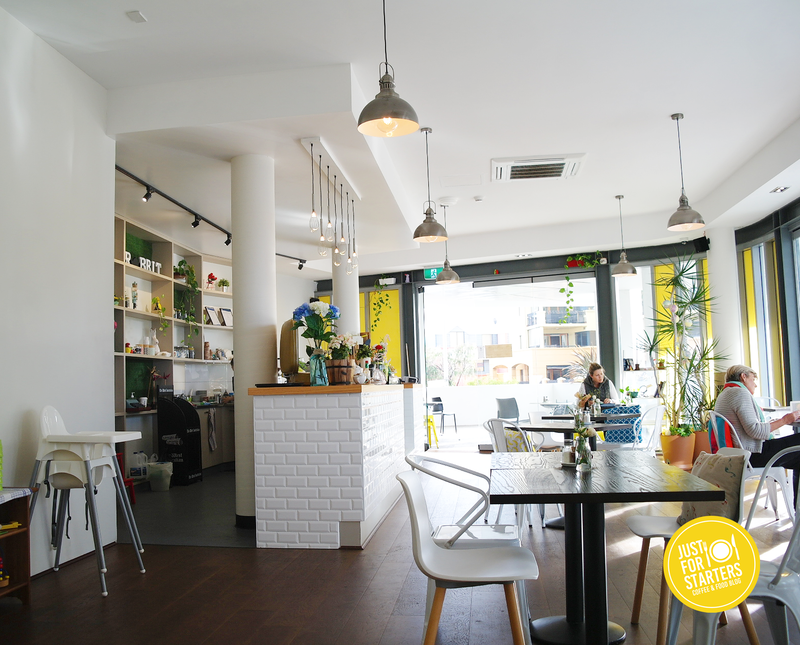 Its a beautiful cafe with a laid-back atmosphere. Despite having an overcooked egg, the rest of the Anthony’s dish was really good especially the Honey & Dill dressing. Would we back again? 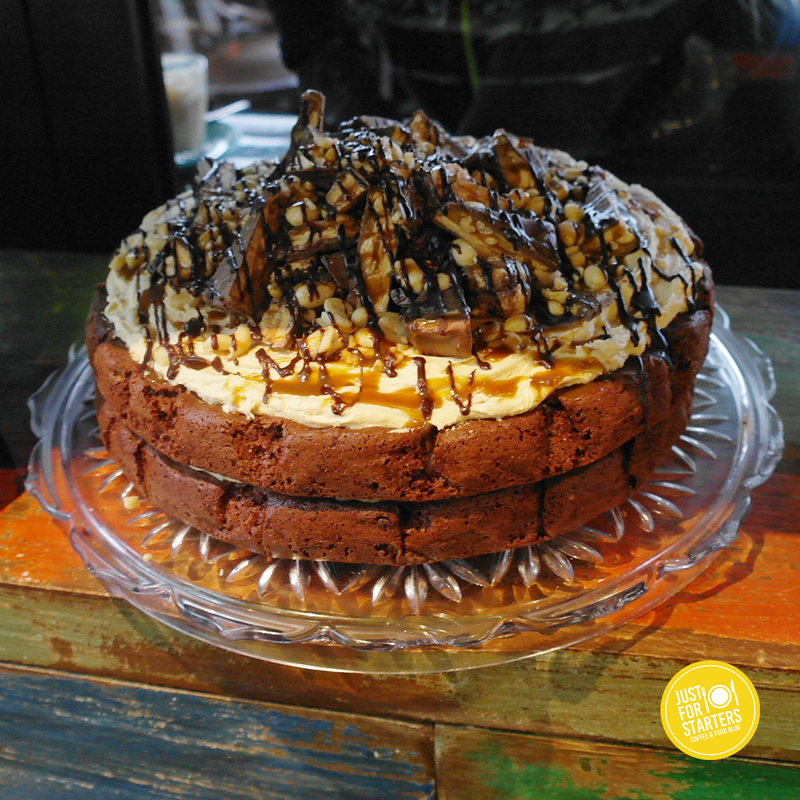 definitely for a coffee and hopefully, a piece of their scrumptious cake! 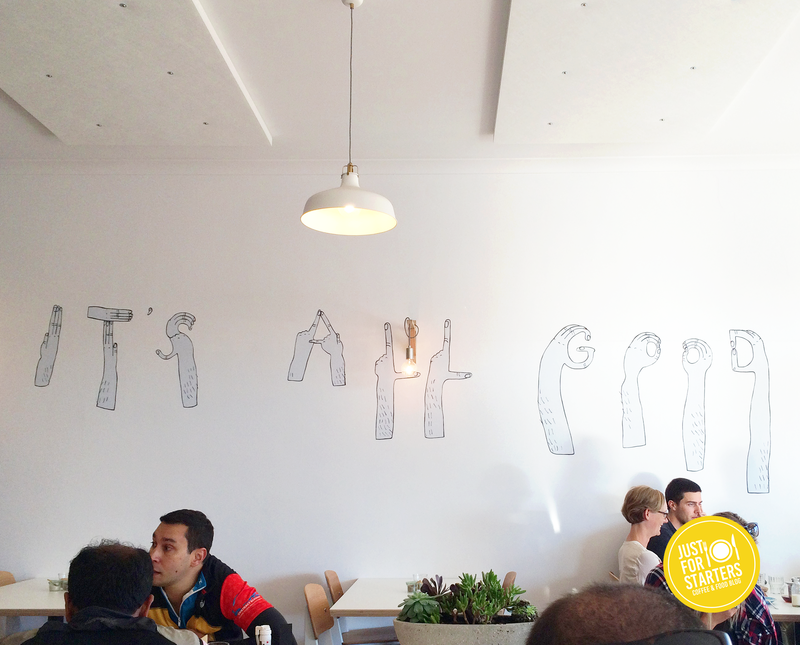 A couple of weeks ago we headed to Vic Parks latest pop up eatery The Don. Anthony was invited to have lunch there the week prior and absolutely raved about the food so when Jonas (one of the owners) invited us back to try out his latest Tapas menu we couldn’t resist. Arriving at The Don’s we were warmly greeted by Jonas and seated at our table. That night we were being treated to a delicious 4 course degustation menu that showcases the delicious dishes The Don has to offer. 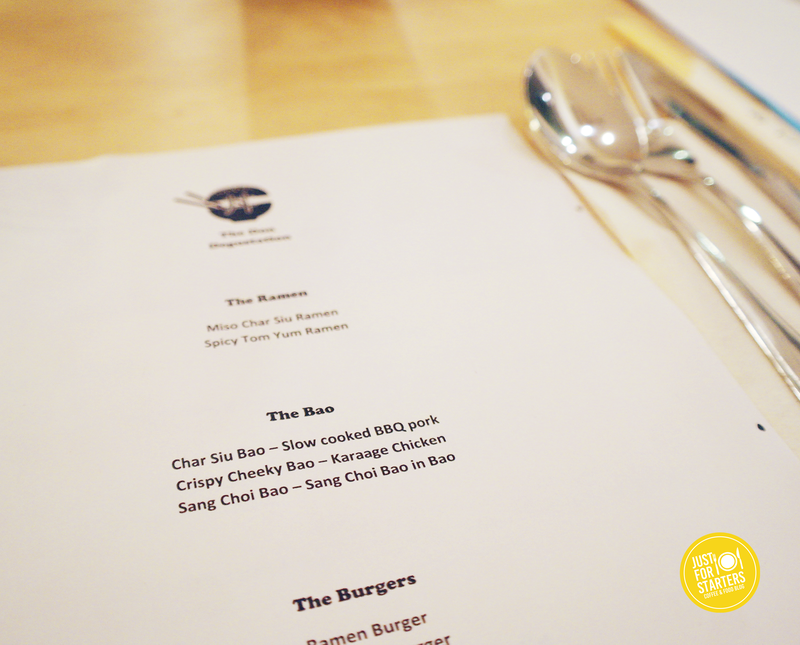 First on The Don’s degustation menu was a choice of either Miso Char Siu Ramen or Spicy Tom Yum Ramen. We chose the Spicy Tom Yum Ramen dish. 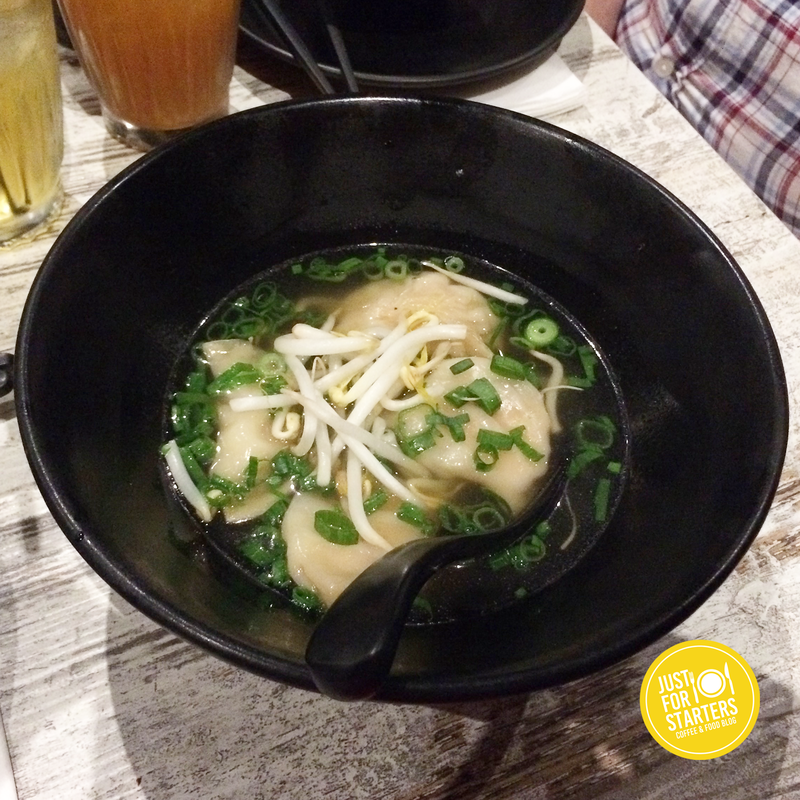 The broth its self had a perfect balance of sour and spicy flavours with a nice hit of chilli! 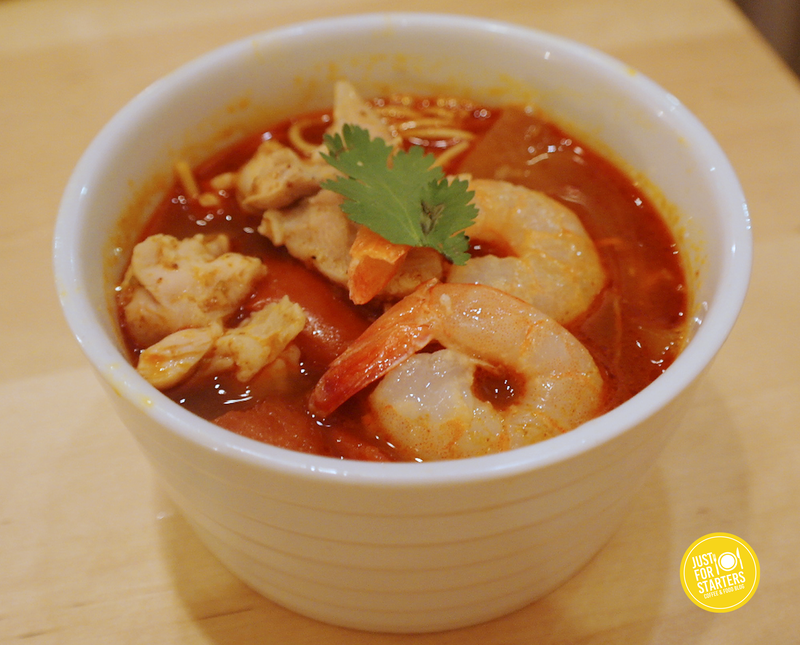 The beautiful prawns, ramen noodles and broth makes this a winning dish that is perfect for these cold winter days. We were then treated to a selection of tasty Baos to share. Looking down at our platter I knew exactly which one I was going to dive into first. The Crispy Cheeky Bao. This bao consisted of super crispy crunchy golden Kaarage chicken with yuzu mayo and a slaw. This bao tasted as scrumptious as it looked! Anthony went straight for the Sang Choi Bao in a Bao. After his first bite he said to me excitedly “You’ve got to try this!” I tried it and it was sooo good! The mince was done well, nice well balanced savoury flavour. Good on Jonas for coming up with something a little different for his customers to try. The last Bao to try was the Char Siu Bao. Inside the bao was a succulent thick slice of slow cooked BBQ pork. Deeelicious! Next up, The Don Burgers! I have seen a lot of pictures on social media lately of Ramen Noodle burgers, so I was glad when I found out we were going to try it at The Don. 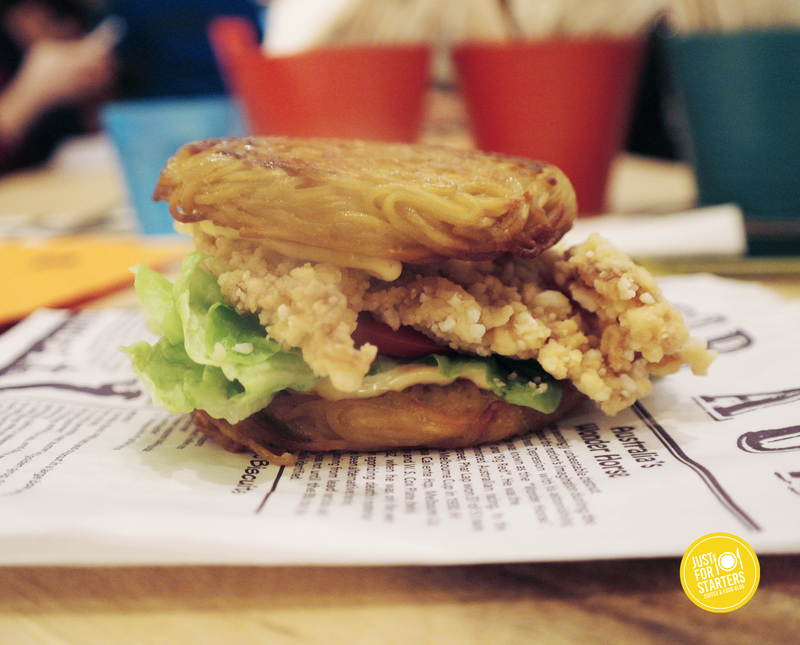 Our Ramen noodle burger consisted of crispy Karaage chicken with salad, tomato and yuzu mayo sandwiched between two crispy fried ramen noodle buns. What was our verdict? Delicious! the ramen patty wasn’t too thick. The ramen noodle bun had a crispy outer coating with a soft moist centre. I didn’t what to expect with this burger but after trying for it to the first time I really liked it! 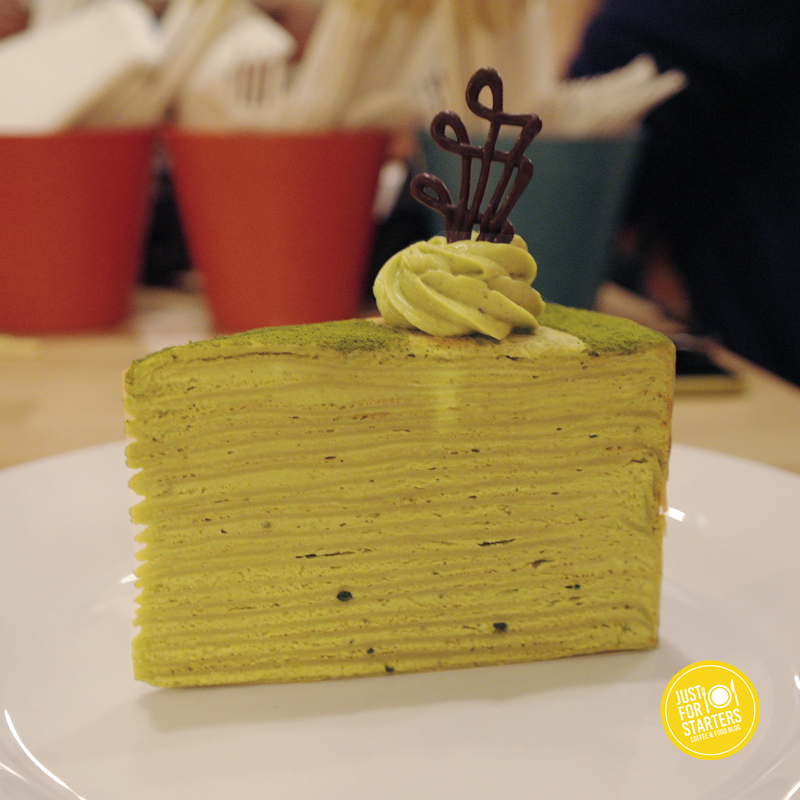 Last but definitely not least, was a slice of the exquisite Matcha Green Tea Crepe Cake. This cake looked perfect and you can see that it was made with a lot of care and attention. This cake was deliciously creamy and moorish with a subtle green tea flavour. We had a blast at The Don! Jonas and his team were so friendly and welcoming. The food, atmosphere and customer service was on point! We’d definitely revisit The Don again and show our support for this bustling pop up eatery. We’ve had a few bad weeks come crashing down on us lately and because of that Anthony and I have been hibernating. Whenever I’ve had a rough day or in this case, a rough couple of weeks I’ve always sort the comfort of home to make me feel better. This past weekend though, we were ready to get back into the swing of things. We both were eager to dust ourselves off and carry on with the things that we really love doing. 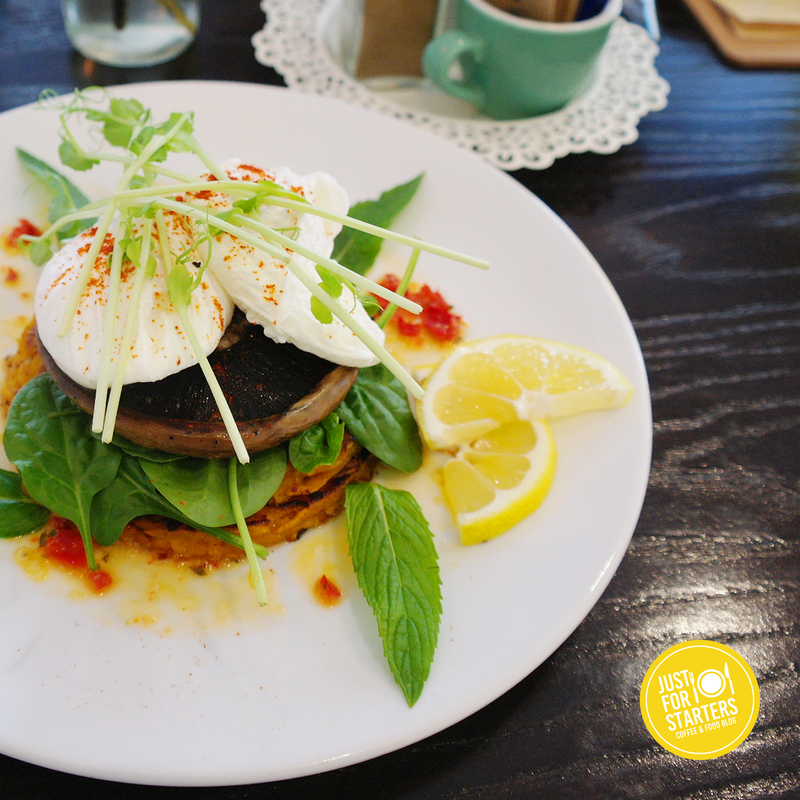 We decided to check out Rabbit In The Moon Cafe on Saturday morning for brekkie. I wasn’t particularly hungry but the thought of checking out a new cafe sounded like fun. Arriving at the cafe my first thought was that we made the right decision. 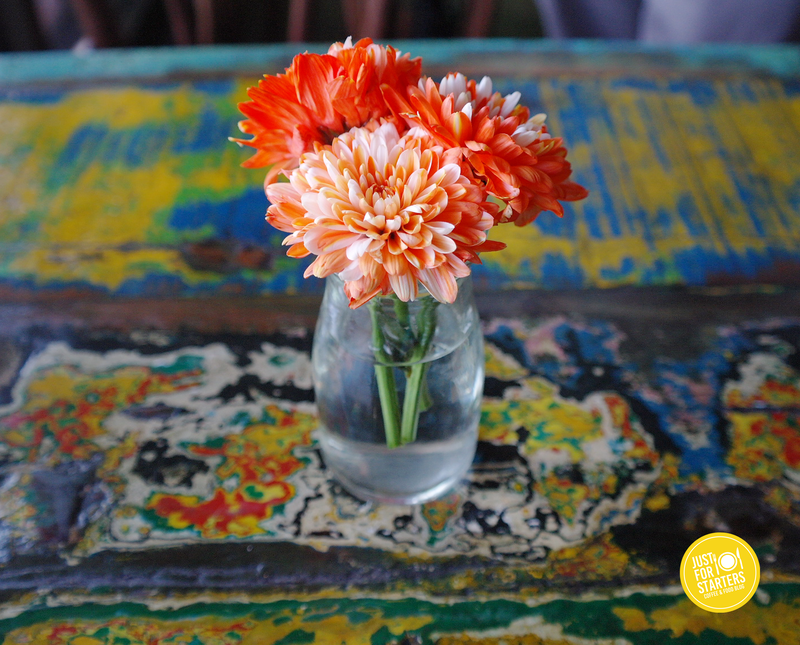 The cafe had a laid back and cheery vibe about it. On our way to our table we were greeted with a warm friendly smile from a staff member behind the counter. We decided to share a dish and get a couple of coffees. Perusing over the menu Anthony’s attention immediately went to the ‘Kumara Rosti, Poached Eggs & Mushrooms’ $18.50. Whilst waiting for our meal and drinks, I took the time to check out my surroundings. The decor was exactly my taste. I love the bursts of yellow throughout. It was so uplifting and so cheerful. 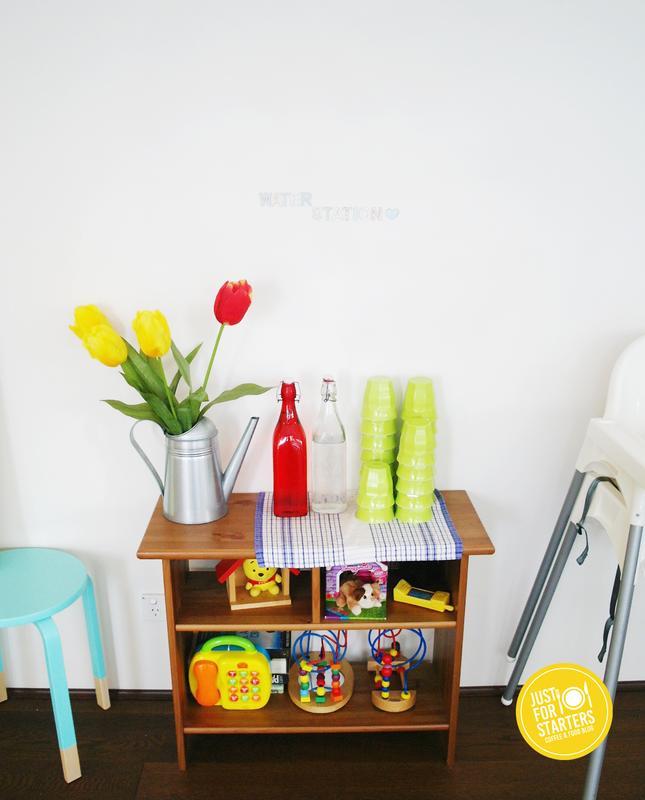 Even their coffee machine was well suited to the decor with its matching bright yellow exterior. A short time later our dish arrived at our table. It looked so pretty and appetising! My first bite was ok, although we both agreed it needed something. The missing ingredient was seasoning. The dish although looked and smelt delicious was lacking a little flavour. I sprinkled some salt and pepper over dish and took another bite…deeeelicious! 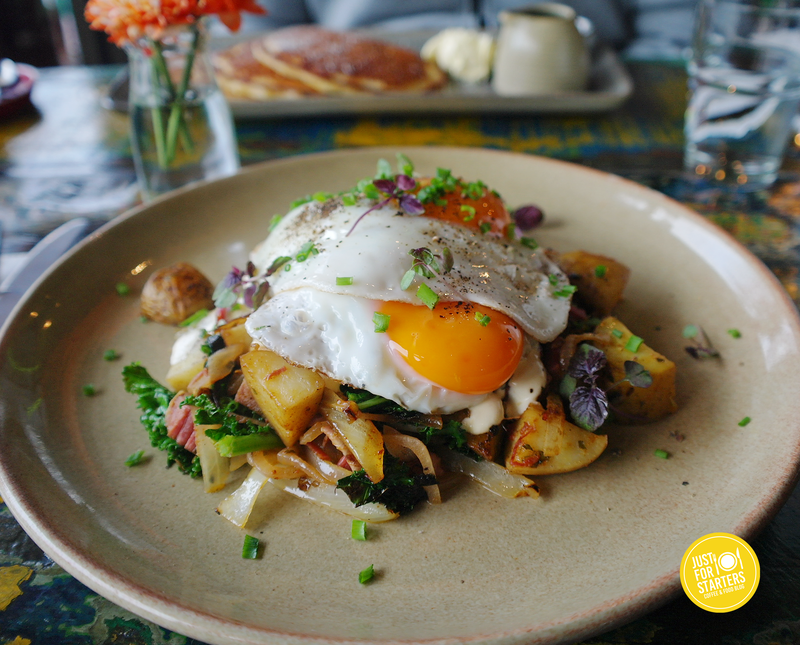 Seasoning brought out all the beautiful flavours of the rosti together with the mushroom and the beautifully cooked eggs. Overall our experience with The Rabbit In The Moon Cafe was a positive one. 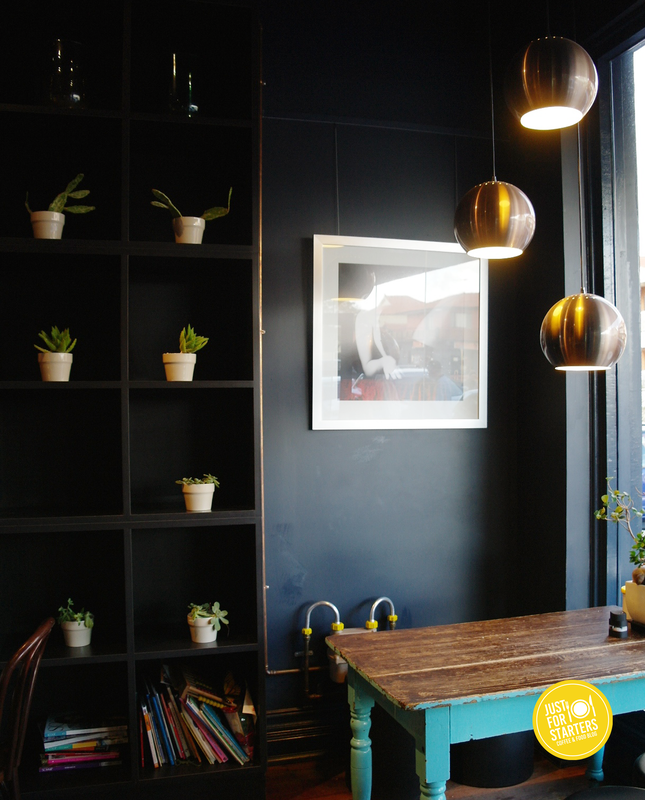 The staff was welcoming and the cafe had a cool laid back vibe. We shrugged off the lack of seasoning as a small oversight in the kitchen that was easily fixed. It’s a little out of the way from the heart of Fremantle but we thought it was worth the journey! 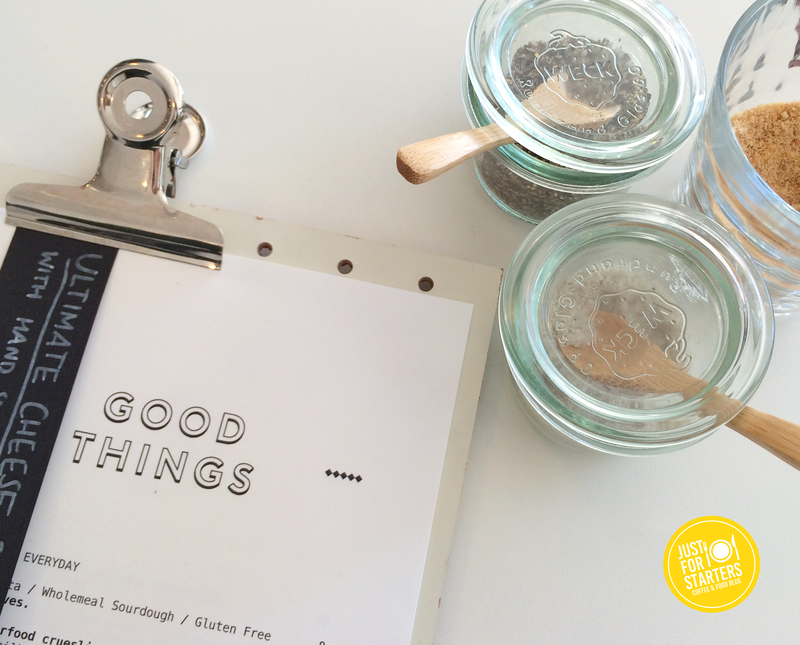 Over the past month we watched Good Things cafe grow on social media from a vacant shell into trendy cafe. 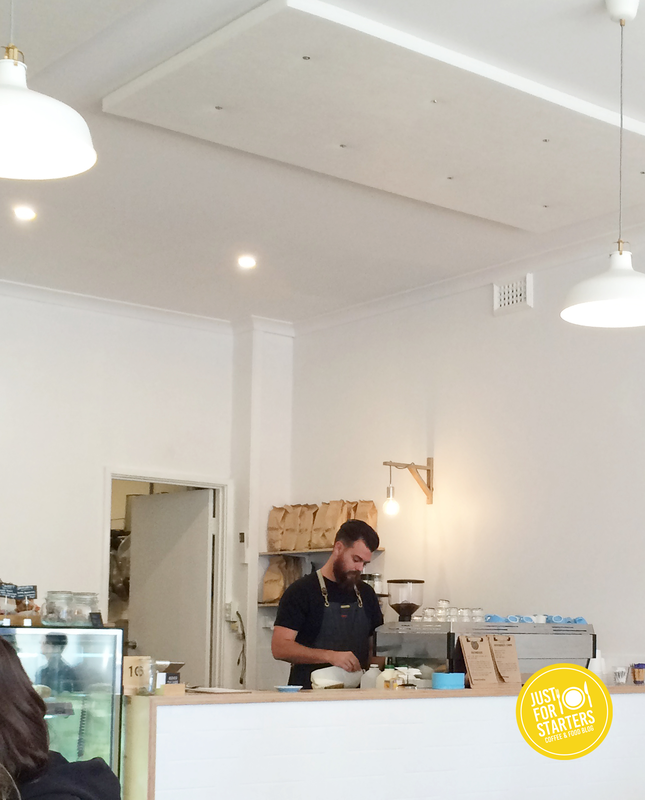 This new edition to Perth’s cafe scene is located in suburbs of Mosman Park. Walking into the cafe I was immediately drawn to the simple neutral decor. Theres is a cool mural created by local artist Jae Criddle on one side of the cafe that gives the cafes minimal surroundings an interesting edge. We grab some menus and take a seat. The menu has a good balance of savoury and sweet dishes to choose from. Good Things uses local coffee roasters Micrology. 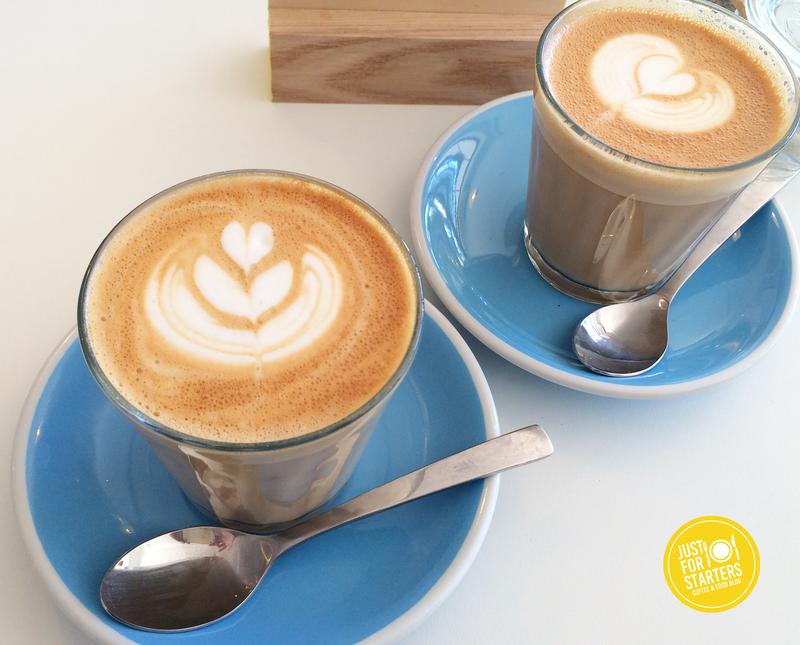 We decided to get two lattes and try both blends they had on offer. I chose the ‘House Blend’ and Anthony had the ‘Yirgacheffe’. The coffee was awesome! 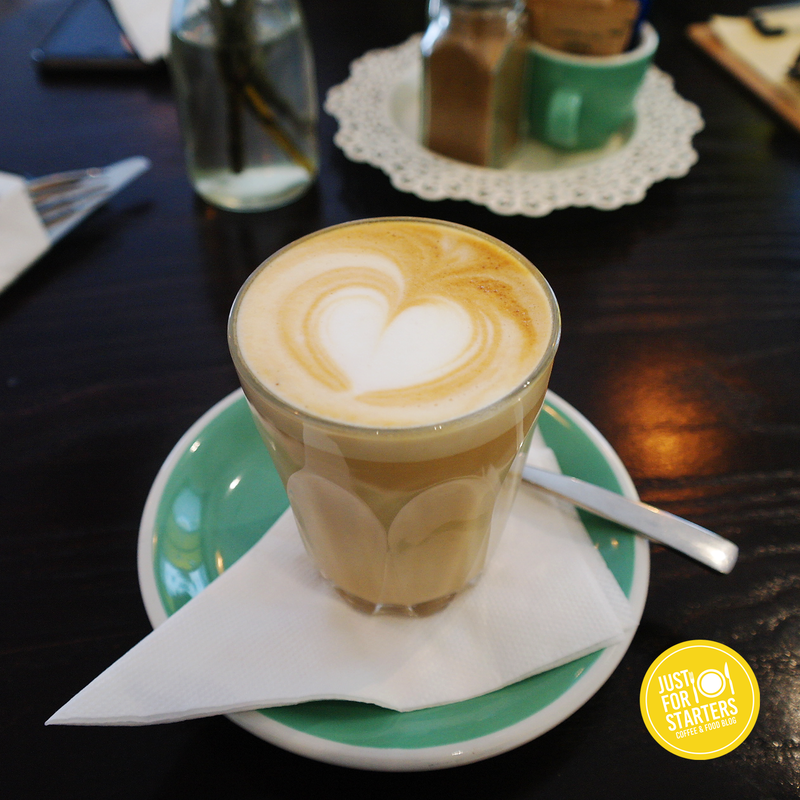 Our shots were extracted at the right time and the milk was textured perfectly. My house blend tasted deliciously rich and Anthony’s tasted like there was hints of berry. 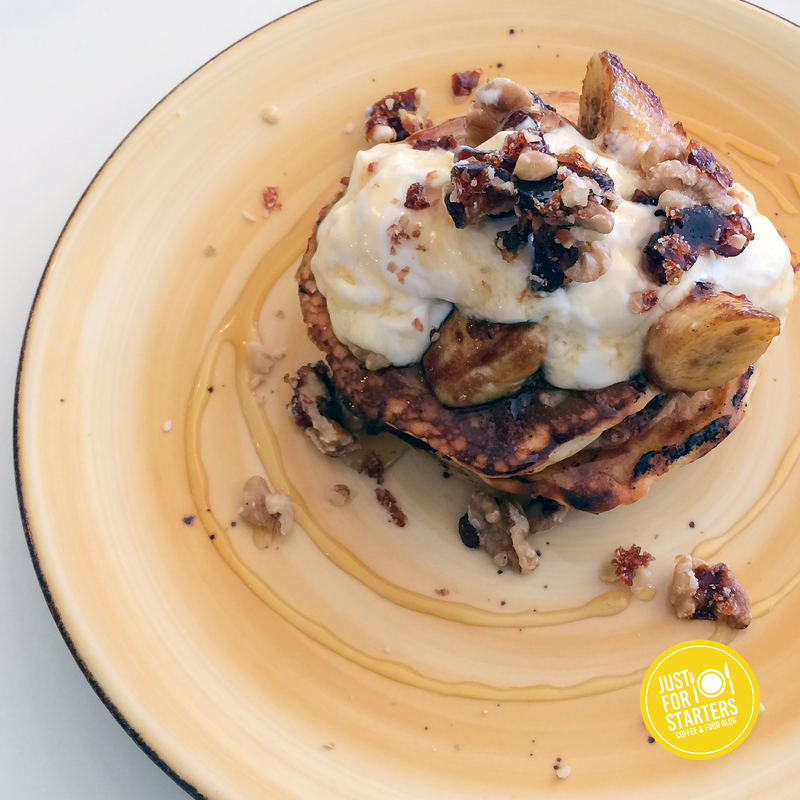 In the mood for something sweet I chose the ‘Caramelised Banana-Nut Hotcakes, Honey and Labneh’ $16 I was sooo happy with my decision! This dish really hits the spot. The hotcakes were soft and moist. 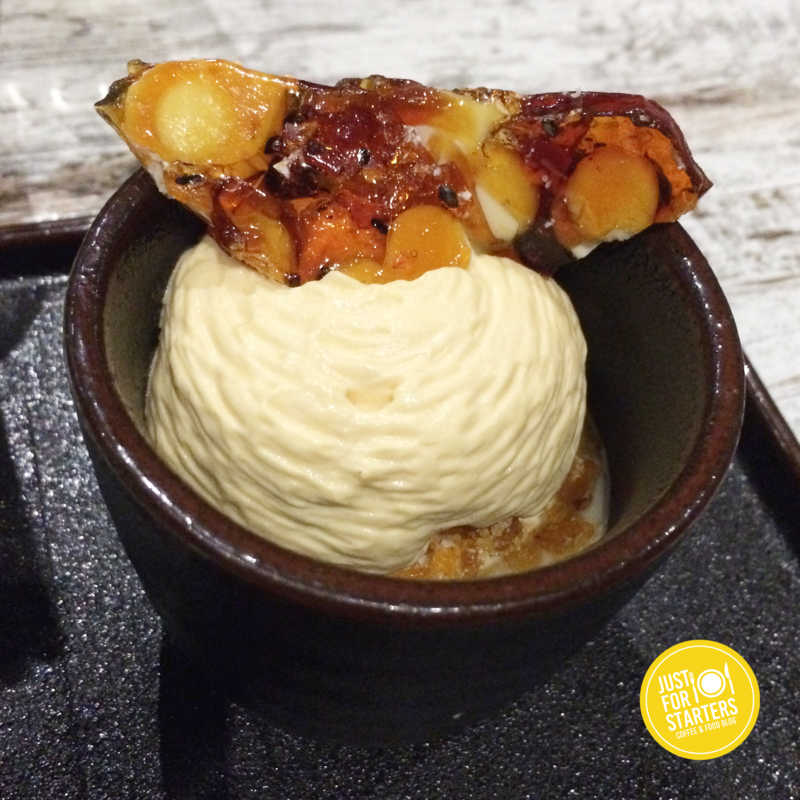 The caramelised banana-nut along with the honey added a delicious sweetness to the dish but it wasn’t too sweet as the labneh balanced everything out. 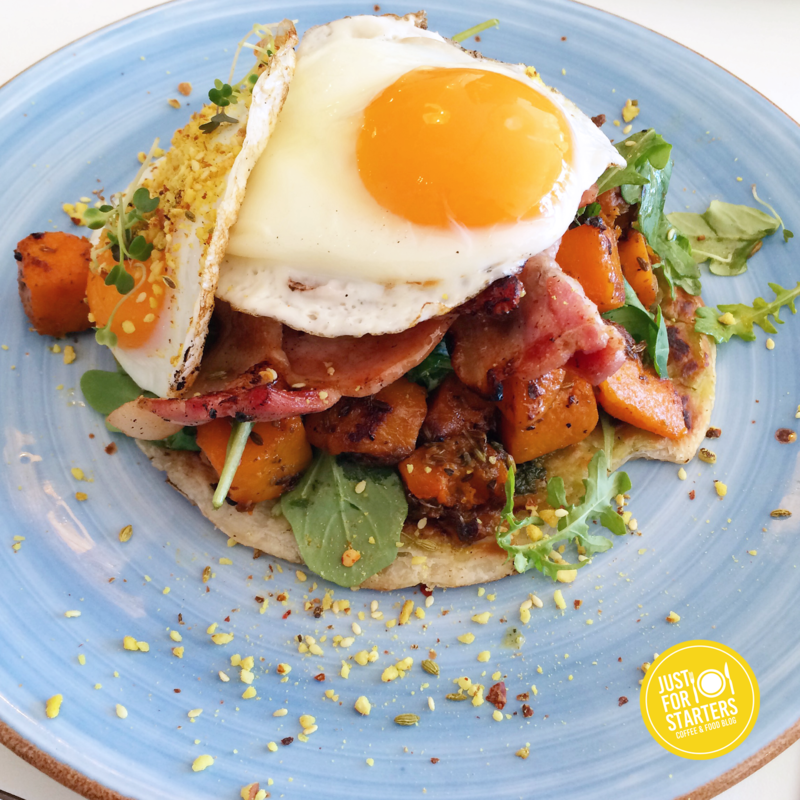 ‘Dukkah Roast Pumpkin, Maple Bacon, Fried Egg, Pesto & Flakey Roti’ $20 Each element used in the dish all married well together into one flavourful breakfast. Anthony’s sunny side up eggs were cooked perfectly as well as his roasted pumpkin. He also found the pesto was a great addition with the other elements, as with each bite it enhanced the flavours in his mouth. He didn’t think he would like maple bacon but after trying it for the first time, he was pleasantly surprised. 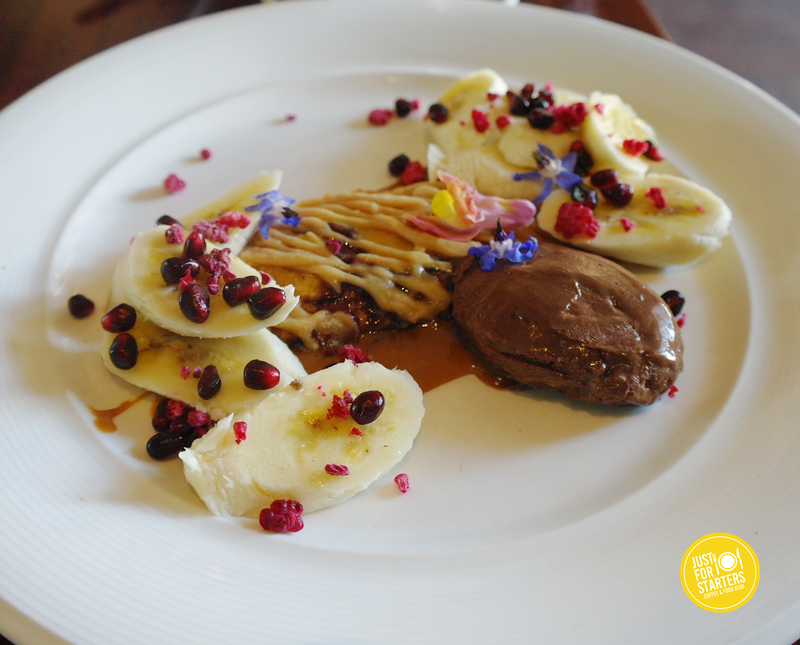 The dukkah sprinkled over the entire dish brought another level of flavour and spice. All in all we enjoyed ourselves at Good Things cafe. The coffee was great. We didn’t have to wait long to be served or for our food and drinks to come out. Also we thought the portion sizes were valve for money. We would highly recommend this place. On a recent trip to Melbourne, Anthony and I enjoyed some amazing Asian Fusion cuisine. 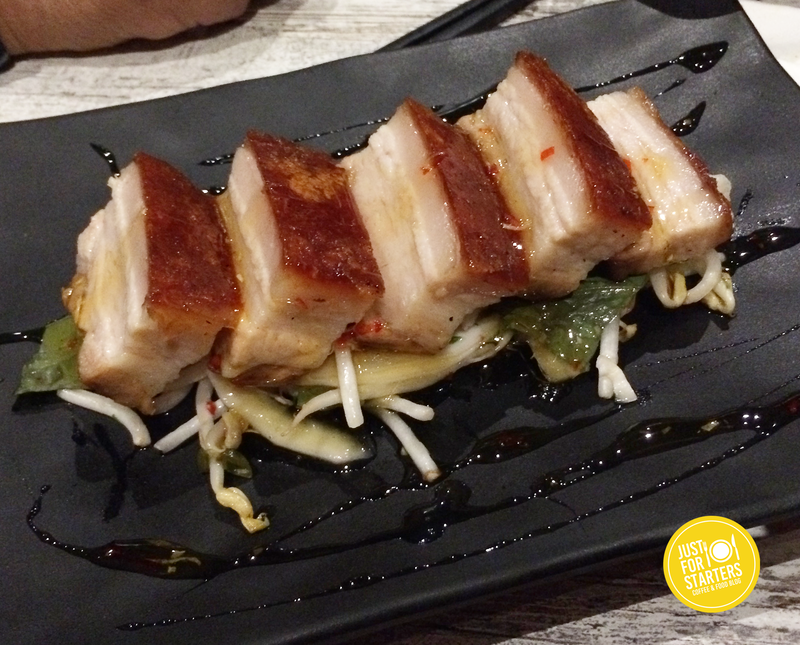 One of the places we dined at was Chef Benjamin Cooper’s popular Chin Chin’s Restaurant. All of our senses were intoxicated by the creative aromatic dishes that were being sent from the kitchen. With each mouth watering bite we were in foodie heaven! Its been a couple of months since our trip and we’ve been wanting to find somewhere similar in our own backyard. Darlings Supper Club is a contemporary Asian Fusion Restaurant located on Northbridge’s Lake street. 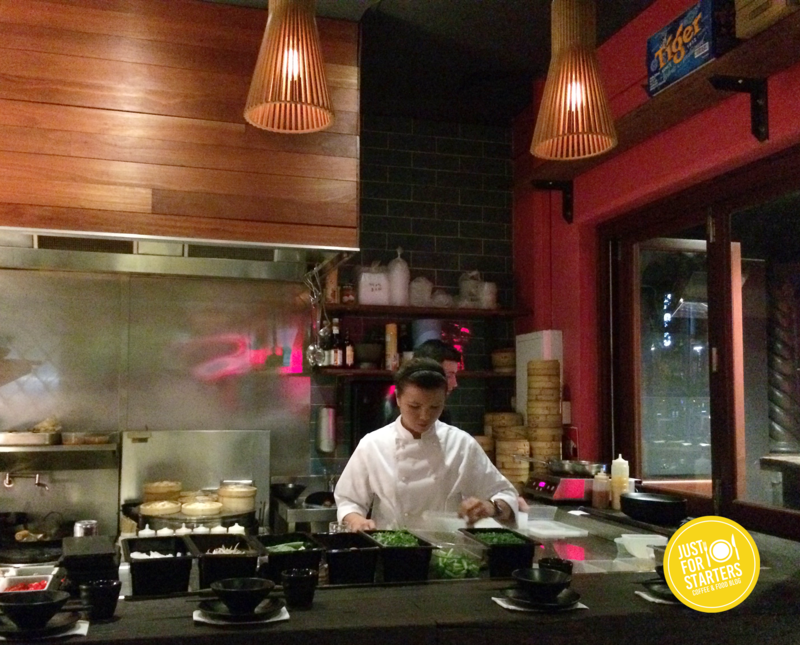 The menu is divided up between a selection of dumplings, small dishes, large dishes, few sides and a few desserts. Looking through the menu we were a bit surprised there weren’t any delicious spicy asian curries to choose from. Anthony and I ordered a few dishes each which come out as they were cooked instead of the traditional way of being brought to your table all at the same time. First up was, Steamed chicken dumplings, pea shoot, lemongrass, hot & sour broth $10. This was a tasty start to our dinner although the hot & sour broth was a bit underwhelming as it tasted more like a savoury chicken broth. Darlings crispy chicken with hot sauce $16. This was so delightfully scrumptious! the wings were crispy and seasoned to perfection. The hot sauce was sweet with just the right amount heat. 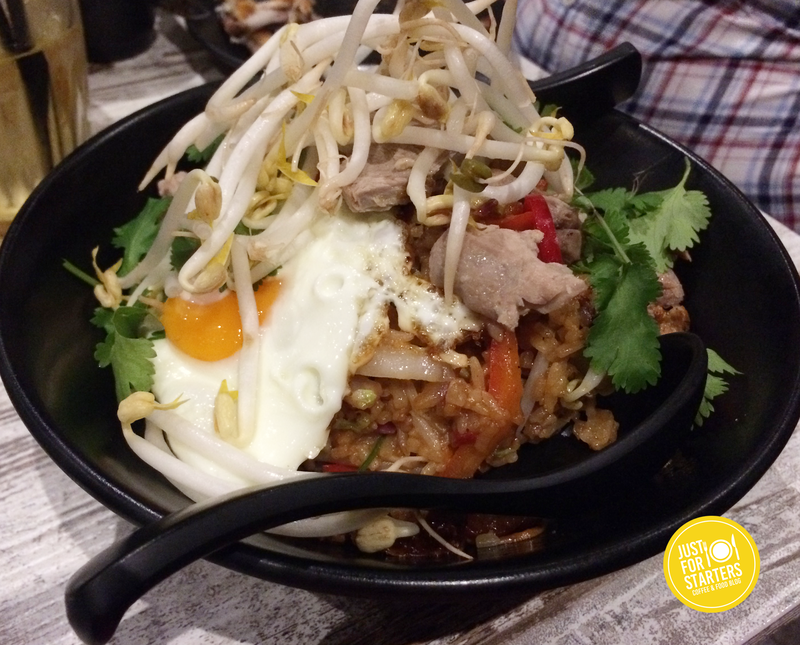 Darlings roast duck & king prawn nasi goreng, fried egg $28. We chose this dish minus the king prawns as we had someone at the table that was allergic. The duck was so deliciously soft and tender and the nasi goreng was packed with a lot of flavour. Berkshire pork belly, chilli palm caramel, coconut, lychee $24. The pork was rendered nicely to create a crispy crackling. The sweetness of lychees and the texture of the raw coconut was a tasty accompaniment. 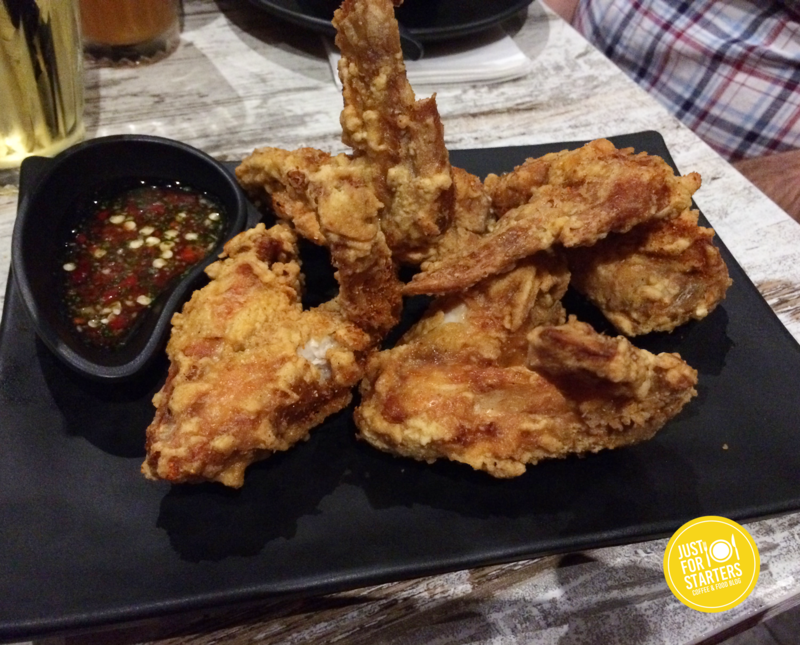 The portion was a little small for the price but nevertheless we enjoyed the flavours. Miso panna cotta, salted caramel foam & peanut praline $16. This dessert was amazing! Tasting each of the elements together, the smooth buttery texture of the miso panna cotta and salty sweetness of the caramel foam was so exquisitely delicious that if we had enough room in our bellies, we would of ordered another one! 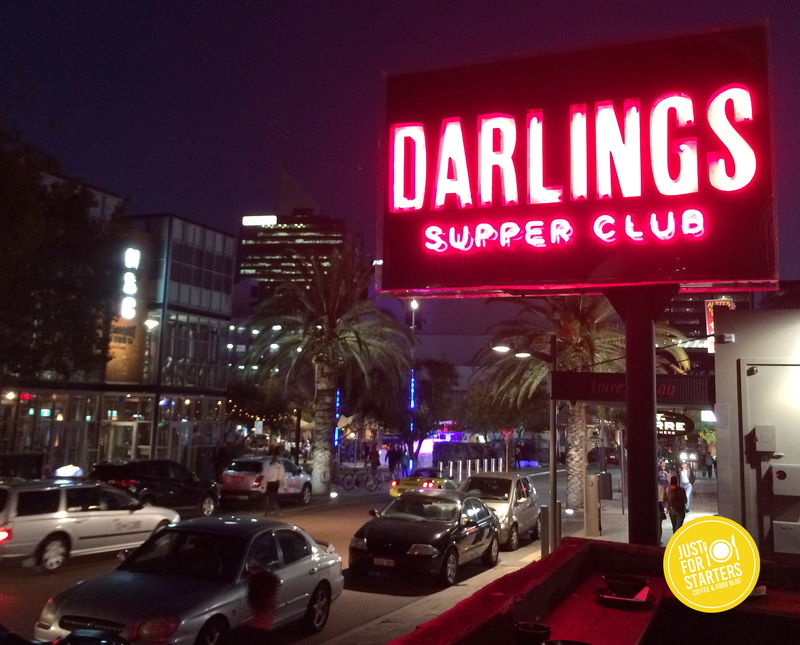 Our dining experience with Darlings Supper Club was great. The service was friendly and professional. We loved the fact that any food we had left over at our table didn’t go to waste as they were happy to package it up for us so we can take it home. The star of the night was definitely the Miso panna cotta dessert, this dessert was simply amazing!